Updated. I have been the President and CEO of a profitable US corporation for over 10 years. I’m also all the other executive positions – CIO, CFO, COO – as there is only one employee (me). 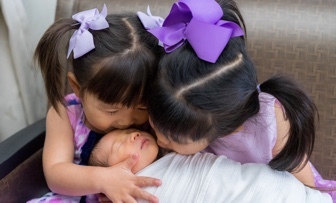 Here’s a brief overview of why I chose to incorporate my business into an S-corporation. Please don’t take this as tax advice, this is simply an explanation of my own actions. In an S-Corporation, only earnings paid to an owner as salary is subject to payroll taxes. Any money left in the business for reinvestment or distributed to the shareholder as a dividend is not subject to self-employment tax. Maria is a sole proprietor bringing in sales of $90,000. After she pays her costs & expenses, her profit is $60,000. As a sole proprietor, she is required to pay self- employment tax of 15.3% on this entire $60K of profit, which equates to $9,180. Now, let’s assume Maria formed an S-Corporation for her business, and chooses to pay herself $35K for the year in salary, and take the remaining $25K of profit through a distribution. She still earns the same $60K in profit. But, let’s look at the tax situation. Because corporations only pay Social Security & Medicare taxes on salaries, she’s only liable for $5,355, saving over $3,800 in taxes! I must add that the IRS states that the salary has to be “reasonable” based on the compensation of similar work elsewhere, so don’t get crazy with this. You can’t pay yourself $20 and a Diet Coke. Additional costs of S-Corporations. 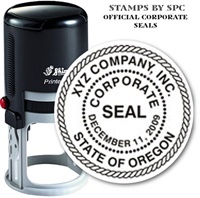 As an employer, the S-Corporation has to pay unemployment taxes. The exact rate varies from state to state, but the federal minimum is about $450 per year if your annual income is at least $7,000. However, as both the employer and employee, it is difficult for me to “lay myself off” and claim unemployment benefits. You may also be required to provide other benefits as required by your local area, such as short-term disability insurance. In addition, I have to run payroll for myself. You can deal with all the federal, state, and local employment forms yourself, which I did for a while, but it can get tedious and the penalties for mistakes can be high. You can also hire a professional payroll service, which can run from $30 to $100 a month. These additional S-Corp costs can quickly add up to over a thousand dollars per year. As a result, if I had a relatively small income, I would have been better off either staying a sole proprietorship or with a single-member LLC (taxed as a sole proprietorship). The S-Corp starts becoming more worthwhile as the annual profits increase. Additional costs of LLCs. LLCs can also be subject to state-specific fees. For example, the state of California charges an annual minimum franchise tax of $800 to both S-Corps and LLCs. Bottom line. There are many facets to the S-Corporation vs. LLC discussion. Unfortunately, it can get quite complicated. I’ve just tried to provide an example of potential differences in taxation and payroll expenses. * I actually used LegalZoom to file my incorporation papers, which is their main competitor. I don’t really remember any big differences between them, but was happy with my Legalzoom experience. The Tax Foundation has an interesting article on pass-through businesses, where the business income “passed-through” to the individual income tax return of the business owner. Pass-through businesses include sole-proprietorships, partnerships, S-corporations, and LLCs designated to be treated as sole-prop/S-corp/partnerships for tax purposes. These usually represent small businesses started by an individual, couple, or very small group of people. You may be surprised to know that 9 out of every 10 companies in the US are pass-through businesses. These aren’t just dinky lemonade stands, either. Pass-through businesses combined earn over half of all business income, and they employ the majority of the private-sector workforce. The ranks of solo entrepreneurs are growing. If this path sounds attractive to you, you won’t be alone! Being an entrepreneur is not a requirement for financial independence, but I believe that enjoying what you do everyday does help a lot. Some people are quite happy being an employee of a large corporation or government entity. Some might yearn for increased autonomy. Still others do both with a side business, aka “side hustle”. A sole-proprietorship is the default business type for a US individual. You got paid for mowing someone’s lawn? You’re a sole-proprietorship. You decided to drive for Uber? You’re a sole-proprietorship. This website started out as a sole-proprietorship and later became an S-Corporation to save money on self-employment taxes. In my personal portfolio, I’ve been investing in tax-exempt municipal bonds instead of treasury bonds due to their higher taxable-equivalent yields. If you’ve done the same, you may be interested to know that Larry Swedroe at Advisor Perspectives argues that the reason for this yield spread is not credit risk, but liquidity risk. After the first month or so following issuance, most municipal bonds tend to trade very infrequently, perhaps once a month or even less frequently. Thus, they are illiquid. Since the financial crisis, banks have dramatically reduced assets committed to their bond-trading activities, decreasing liquidity in the municipal bond market. It shouldn’t be a surprise, then, that liquidity premiums have widened. The result is that municipal bond yields are higher than they would have been if liquidity had not been reduced. Many investors can bear liquidity risk, because they buy individual bonds with the intent of holding them to maturity. For them liquidity is not a major risk, at least in some portion of their portfolio; the reduced liquidity in the market makes municipal bonds more attractive. The spread itself has been narrowing, according the chart below tracking the ratio of AAA-rated GO Muni bonds to Treasuries over the last 12 months (not adjusted for taxes). Taken from the most recent Baird’s weekly muni commentary. Still, muni bond funds remain relatively attractive for many folks, especially in higher tax brackets. Use this Vanguard taxable-equivalent yield calculator and compare the numbers for your own situation. Bottom line. My takeaway is that muni investors should acknowledge this liquidity risk, and be prepared for short-term swings in muni bond fund prices (due to illiquidity) if there is a major event (like a surprise bankruptcy filing). However, if you are truly a long-term holder of muni bonds, then you can accept this risk, hopefully ride things out, and be compensated with higher tax-equivalent yields. The NY Times highlighted what is “arguably the world’s most successful online course”, Learning How to Learn: Powerful mental tools to help you master tough subjects by Drs. Oakley and Sejnowski and sponsored by the University of California, San Diego. The course has been taken by 1.8 million people and it is free to access all the instructional materials ($49 to receive a certificate of completion). The course provides practical advice on tackling daunting subjects and on beating procrastination, and the lessons engagingly blend neuroscience and common sense. The next session starts August 28th, and I’ve signed up and watched a few videos already. So far, I prefer using the Coursera app on my smartphone. I don’t know if I’ll be able to complete everything, but you can always extend into the next session. I hope to learn something for myself and also some tips to pass on to my children. 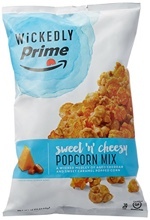 Amazon Prime members who spend $25 or more can get a free Happy Belly or Wickedly Prime snack with the promo code PRIMESNACK. Amazon Prime members who spend $25 or more can also get a free bottle of Amazon Elements vitamins with the promo code PRIMEVITAMIN. To redeem, first add $25+ worth of products that are sold by Amazon.com or Amazon Digital Services LLC to your cart. Amazon gift cards don’t qualify, but the a $25 physical gift cards from Whole Foods, Starbucks, or Panera Bread should work. You could also buy $25 of Household items from this 30% off deal. Next, add one of these Amazon snacks (~$5 to ~$8 value). Enter promo code PRIMESNACK at checkout and the snack should be free. Add one of these Elements vitamins listed at the bottom. Enter promo code PRIMEVITAMIN at checkout and the vitamins should be free. I picked the Calcium supplements made from algae. Each library imposes its own limit to the number of free movies a single cardholder can watch each month, from three to 20 titles per card, a spokeswoman for Kanopy said. Once they’ve registered their library cards with Kanopy, viewers can keep track of how many movies they have left in the upper right-hand corner of the onscreen interface. The limit for New York Public Library cardholders is 10 free movies a month, while Brooklyn Public Library allows six. Outside of New York, Los Angeles County libraries, for example, have a 10 movie limit. You won’t find the latest Marvel movie, as Kanopy’s library is heavy on classic cinema, independent films, and documentaries. They boast “hundreds of new films every month”. There are many films from the Criterion Collection like Fellini’s 8 1/2 and Kurosawa’s Rashomon. If you still have interest in the solar eclipse, check out Chasing Shadows. There are neat educational materials in the Great Courses section, including the Everyday Gourmet series. $25,000-$49,999. Various gifts, but the overall target retail value appears to be ~$500. 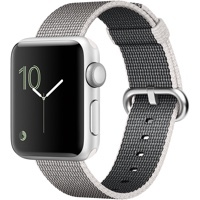 For example, you can get a Apple Watch Aluminum, 42mm, Series 2 ($399 list) a $100 iTunes gift card. $50,000-$99,999. Various gifts, but the overall target retail value appears to be ~$1,000. For example, you can get a Bose SoundTouch 30 Series III Wireless Speaker ($499) a $500 in Amazon gift cards. $100,000-$250,000. Various gifts, but the overall target retail value appears to be ~$1,750. For example, you can get a Apple Macbook 1.3 GHz 8 GB ($1,599 retail) a Camelbak Quantico Daypack ($160 list but $120 at Amazon). In the perfect scenario, you open a 2-year CD with $25,000 (or $50,000) and get 1.85% APY a gift worth another 1% APY. (Ex. $25,000 x 1% APY = $250 per year. For 2 years = $500 total.) A theoretical 2-year CD paying 2.85% APY (or even 2.5% APY) would be a top available rate in the current market. *Annual Percentage Yield. APYs are effective as of 8/18/17 and are subject to change without notice. There is a substantial penalty for early withdrawals, including the value of the gift chosen. The value of all gifts will be considered as interest on your account for tax purposes in the first year the account is opened. A 1099-INT statement for the value of the gift (including applicable sales tax, shipping and handling costs) will be issued for the year of gift redemption. Please allow up to three weeks from the time that you place your gift order for delivery of gifts. Photos of gifts may not be exact model. GiftsforBanking.com reserves the right to make gift substitutions of comparable value and assumes no liability for any defects in, or consequential damages relating to gift items. The warranty is the sole responsibility of the manufacturer. CD Reward codes will expire twelve (12) months from the date that the code is first emailed to you. You will receive a 1099-INT for the cash interest and the value of the gift (including applicable sales tax, shipping and handling costs). It is unclear exactly what this number is for each specific gift option. It is traditionally the MSRP, but sometimes even that number is hard to figure out. How much extra will they tack on for shipping and handling? In the end, you could be on the hook for taxes on a amount significantly higher than the actual resale value. (Update: Commenter David reports that the $25k/$50k tier gifts will have a 1099 value of $575/$1,100 respectively.) You could try to dispute this amount but is it really worth the trouble? The early withdrawal penalty includes both 6 months of interest the value of the gift. That is a relatively heavy penalty. 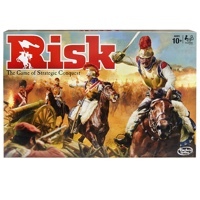 There is a minimum opening balance of $25,000 for each CD. Why does the website look like it traveled in time from 1999? The good news is that 1.85% APY on a 2-year CD all by itself is a pretty competitive rate. So if you wanted, you could simply consider the additional gift “interest” as a special discount. Instead of paying say $360 for an Apple Watch from Amazon and $80-$95 for a $100 iTunes Gift Card, you might only have to pay income taxes on $500 or so. The key is whether you actually wanted to buy a 2-year CD anyway, either for your cash reserves or as a bond replacement. For comparison, right now a 2-year US Treasury bond only yields 1.32%. Bottom line. This is a quirky bank CD promotion with the potential to be a good deal, but some important things have to align. You already want a 2-year bank CD. You should be quite confident you won’t withdraw early. You can get good value out of the gift options or are willing to resell. Is the potential extra value worth the added hassle? Groupon is offering a free 3-month subscription of Pandora Premium music streaming service, which usually costs $9.99 per month. This upgrade includes access to 40 million songs on-demand, removal of all ads, unlimited skips, offline listening, and individualized playlists. With Pandora Premium, enjoy personalized radio with on-demand listening. Users can search and play any song or album. Create playlists and use the power of Pandora to help complete them. Save data by downloading the music you want offline, and enjoy all of your favorites with no ads and unlimited skips and replays. After purchase, you must view the Groupon voucher which will contain a link with a unique gift code needed to activate your free 3-month subscription. Although the plan will automatically renew to $9.99 a month unless canceled, you can simply choose to cancel right away (or at any time) and your service will still keep working until the end of the three months. That way, it won’t auto-renew. Not valid for current customers (or you could create a new account). While supplies last, over 10,000 taken already. 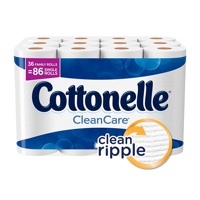 Amazon is offering a Buy 3 Items, Save 30% promotion when you buy selected items from their on Household Essentials and Health & Wellness categories. This includes common items like toilet paper, paper towels, flushable wipes, ziploc bags, soap, laundry detergent, and vitamins. Amazon really wants you think of them when you buy everyday items. You are limited to one 2-D movie per day. You can watch first-run movies on opening day. No 3D. No IMAX. This service is not affiliated with any specific movie chain. You can use the official Moviepass website (scroll to bottom) or this handy-but-unofficial locator to see eligible theaters. 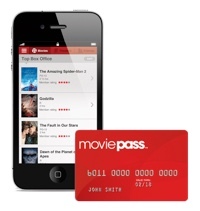 You must download and use the service through the Moviepass smartphone app (Android and iOS). You can’t use Fandango or other 3rd-party service. You must be within 100 yards of the theater (tracked by GPS via phone app) before you can redeem your free ticket for the day. This helps prevent you from sharing your subscription. If you want to reserve seats, you should get to the theater area early. Once you check-in via the app, the appropriate funds will be loaded onto a your personalized Moviepass Mastercard debit card. You then use that specific debit card to pay for the ticket (at kiosk or ticket counter). My take? I don’t see how this is a sustainable business model. MoviePass is paying full price for the movies (not even some sort of wholesale discount). MoviePass must be hoping that a lot of casual people sign up and then forget to watch movies some months? I don’t think it’s a coincidence that they wait until after the summer movie season to announce this. I am skeptical that they can monetize the group data enough to cover their costs. AMC doesn’t like Moviepass but since the are just using a normal debit card to pay full price, I don’t see how they can stop the service. Bottom line. The service seems legit in that they’ve been in business since 2011 and the CEO is one of the co-founders of Netflix and former Redbox executive. However, I still see a late “pivot” for a wobbly startup. Watch a bunch of movies in the next few months if you can, but don’t be surprised if your Moviepass card suddenly stops working. This offer is now EXPIRED. Earn 75,000 bonus points after spending $7,500 in purchases within the first 3 months of account opening. 75,000 ThankYou® Points are worth over $900 in airfare when redeemed through ThankYou.com or through Citi Prestige® Concierge. Or, you could get $750 in statement credit. Annual $250 Air Travel Credit, valid for flight-related expenses charged to your card including airline tickets, baggage fees, and upgrades. Global Entry/TSA Statement Credit. Receive a statement credit, up to $100 every 5 years, as reimbursement for your application fee for Global Entry or TSA PreCheck. Complimentary 4th night stay at any hotel of your choice after a minimum 4-consecutive night booking through ThankYou.com or the Citi Prestige Concierge (based on your average night stay, exclusive of taxes and fees). Airport Lounge Access. You and your authorized users get access to hundreds of VIP lounges through Priority Pass™ Select. Transfer points to a variety of travel loyalty programs from airlines to hotels. Earn 3x Points on Air Travel & Hotels. Earn 2X Points on Dining Out & Entertainment. Early 1X Points on All Other Purchases. No Foreign Transaction Fees on Purchases. $450 annual fee, not waived the first year. Bonus ThankYou Points are not available if you have had a ThankYou Preferred, ThankYou Premier or Citi Prestige card opened or closed in the past 24 months. Since you can only get one or the other, you should compare this offer with the Citi ThankYou Premier Card as the annual fee is waived during the first year and includes gas as a 3X category. Annual $250 Air Travel Credit details. Unlike other cards, airfare counts as well as baggage fees, lounge access, and other incidental purchases. This renews every calendar year, so it can be used to help offset the annual fee every year. New cardholders may also qualify for the credit once in 2017 and again in 2018. This statement credit is an annual benefit available for purchases appearing on your billing statements from December through the following December. Pending transactions that do not post in your December billing cycle will count towards the next year’s Air Travel Credit. What can you do with ThankYou Points? Citi has been trying to improve the value and flexibility of ThankYou points, so here is a rundown of what you can do with them. Bonus towards flexible airfare, hotel nights, car rentals, and cruises. You get a 20% discount on the standard number of points needed for a travel redemption. The reverse math means 1 ThankYou point = 1.25 cents towards travel. Note that this 25% bonus applies all of your points from all Citi cards linked to the same ThankYou account, thus boosting the value of all your other points. That means 75,000 ThankYou points will get you $937.50 in airfare, hotel nights, car rentals, and cruises book through the Citi Travel Center, which in my experience had the same total price with taxes as compared to Expedia, Orbitz, etc. Since you can book any flight that can be otherwise purchased with cash, there are “no blackout dates”. This can be even more flexible because you can use it across multiple flights, multiple passengers, and you can even do partial redemptions. Let’s say you found a ticket that want for $200 = 16,000 points, but only have 10,000 points available. 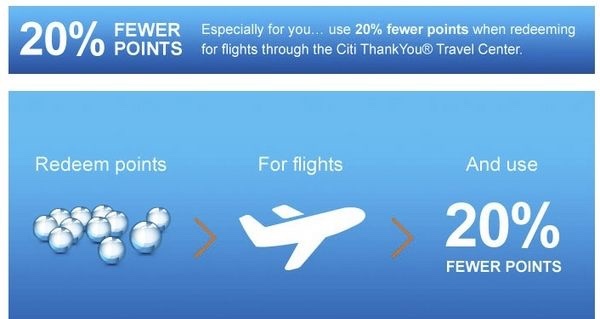 Citi now lets you pay the difference, so in this case you can get your $200 ticket for 10,000 points and $75. This makes it much easier to use up all of your points at a 25% premium. 75,000 points = $750 in statement credit. The Citi Prestige finally offers you a simple 1 ThankYou points = 1 cent redemption towards a statement credit. Hotel points and airline miles transfer options. Citi ThankYou points are also now available to transfer to certain airline mileage programs on a 1:1 basis including JetBlue, Cathay Pacific, EVA Air, Etihad, Flying Blue by Air France and KLM, Singapore Airlines, Qantas, EVA Air, Jet Airways, Turkish Airlines, and Thai Airways. For example, 50,000 TY points can get you 50,000 Singapore Airlines KrisFlyer miles. If you know how to redeem this points wisely, you can get a lot of value for international flights. What happened to [perk]? If you read about this card in the past, you should know that the Citi Prestige card no longer offers some features. These include the (1) American Airlines special redemption value at ThankYou point = 1.6 cents in American Airlines airfare, the (2) 1 ThankYou point = 1.33 cents in airfare (the value ratio is now 1 ThankYou point = 1.25 cents), (3) American Airlines Admirals Club lounge access (Priority Pass Select benefits remain), and (4) free rounds of golf benefit. Bottom line. This is a high sign-up bonus historically, but it’s also harder to get due to the higher spending requirement and the fact that you can’t have had a ThankYou Preferred, ThankYou Premier or Citi Prestige card opened or closed in the past 24 months. If you can meet these hurdles, you should then compare this offer with the Citi ThankYou Premier Card – 50,000 Bonus Point offer. The Citi Prestige has a bigger sign-up bonus and more valuable perks if you can take advantage of them ($250 annual airfare credit, Global Entry credit, Priority Pass), but with a higher spending hurdle and you must pay the $450 annual fee. The Citi ThankYou Premier has a smaller sign-up bonus but the spending hurdle is lower and the annual fee is waived during the first year. Virgin Mobile has extended their promotion offering a full year of unlimited service for $1 for new customers who buy an iPhone and transfer their number, as well as current Virgin Mobile customers who upgrade to an iPhone. Auto-pay required. It has officially been extended through 8/31/17. Virgin Mobile USA is a wholly owned subsidiary of Sprint and is thus on the Sprint network. Unlimited talk, text, and data with de-prioritization after 23 GB each month. Although taxes are technically not included, people report being charged only 8 cents per month, so apparently it’s not a concern. After the first year, the unlimited plan costs $50 a month including all taxes as this is a prepaid service. The cost of the newest iPhones from Virgin Mobile is comparable to buying direct from Apple. For example, iPhone 7 32GB version is $649. However, there are discounts for older models: iPhone 6 32GB is $320. iPhone SE 32GB is $280. Compare this offer with the Sprint Free Year of Unlimited offer. For the Sprint offer, you must bring your own eligible device and qualify via a hard credit check. If you don’t want an iPhone, you could buy a New Unlocked Moto E4 for $99 from Amazon. For this Virgin Mobile offer, you must buy a new iPhone for at least $280 but there is no credit check. Sprint includes mobile hotspot tethering, while Virgin charges an extra $10 a month. If you wanted to buy an iPhone anyway (a new model is coming out soon) and are okay with the Sprint network, this can work out to a good deal. You could get a new iPhone 6 (which is still perfectly useable in my opinion) and a year of Unlimited talk/text/data service for $321. After the first year, you’ll still have the iPhone 6 which you can use on another network. Hi! I'm Jonathan and I've been sharing about money since 2004. Father, husband, self-directed investor, financial freedom enthusiast, and perpetual learner. More about me. Got a tip or idea? E-mail me. Save Money By Splitting Doses of Frontline Plus Flea Medication - Up to 90% Savings! How Often Should You Cook at Home on Weeknights? Please do not re-publish text or pictures found on this site elsewhere without explicit prior written consent. MyMoneyBlog.com is for informational purposes only. Do not take it as legal, financial, or tax advice for your personal situation. Rates and terms set on third-party websites are subject to change without notice. Per FTC guidelines, MyMoneyBlog.com has financial relationships with the merchants mentioned. MyMoneyBlog.com is compensated if visitors click on any outbound links and generate sales for the said merchant. The editorial content on this site is not provided by the companies whose products are featured. Any opinions, analyses, reviews or evaluations provided here are those of the author's alone, and have not been reviewed, approved or otherwise endorsed by the Advertiser. I thank you for supporting this independently-owned site. Copyright © 2019 MyMoneyBlog.com. All Rights Reserved. Do not re-syndicate without permission. The editorial content on this site is not provided by the companies whose products are featured. Any opinions, analyses, reviews or evaluations provided here are those of the author’s alone, and have not been reviewed, approved or otherwise endorsed by the Advertiser.